Come learn and grow with us! Hillcrest Educational Centers strives to provide our staff with opportunities for learning and development to meet the current and emerging needs of the individuals we serve and to support the personal and professional growth of our staff. We welcome and orient each new staff member through our New Staff Orientation program. Our nine day training program introduces staff to core knowledge and specialized skills through blended learning activities including live instruction, on-line learning, observation, and skill practice. We enhance staff knowledge and skills with on-going instructor led training monthly at each program site and virtual training though our learning management system. We remain current in our field and embrace best practices by attendance at outside conference and workshops. To support and teach our students who may experience a behavioral crisis, we train all staff working at our program sites in Therapeutic Crisis Intervention (TCI), a nationally recognized crisis prevention and intervention model developed by Cornell University. Staff are certified in TCI during our orientation program, receive quarterly refreshers in the model, participate in individual coaching sessions with one of our certified instructors, and recertify in TCI every year. We additionally offer TCI for Individuals with Developmental Disabilities and TCI Post-Crisis Response training to staff. We encourage our team members working with students on the Autism Spectrum to become Registered Behavioral Technicians (RBTs), certified through the Behavioral Analyst Certification Board. This training helps educators and direct care workers learn evidence-based Applied Behavior Analysis (ABA) principles and strategies for helping clients with developmental behavior challenges. Once they achieve this credential, RBTs become responsible for the direct implementation of behavior-analytic services in direct care settings under the supervision of a Board Certified Behavioral Analyst (BCBA). To obtain the RBT credential, individuals must complete 40 hours of training and successfully pass the RBT Competency Assessment as well as the RBT exam. Want to receive a national certification in child and youth care? We offer both day and night courses in the Residential Child and Youth Care Professional (RCYCP) Certification curriculum developed by the University of Oklahoma. Staff who participate in this 42 hour course and pass a certification exam, earn a recognized credential in child and youth care. To date, over 200 staff have earned their RCYCP Certification at Hillcrest Educational Centers. Do you have what it takes to work with children and youth in the classroom as an instructional support? We are a testing site for the Para Pro Assessment, a national assessment developed by ETS that measures skills and knowledge in reading, writing, and math. The Para Pro Assessment is used as a competency measure for paraprofessional in the classroom in over 20 states. 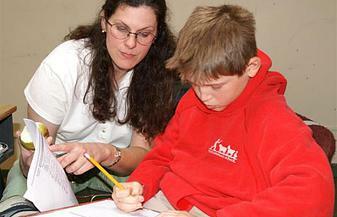 Taking and passing the Para Pro is a requirement for all Teacher Assistants at Hillcrest Educational Centers. Most organizations have promotional career ladders where advancement and increased compensation is tied into being promoted into different positions that are predominantly supervisory in nature. Nearly 80% of our staff has access to an alternate type of advancement, our positional career ladder program. Staff can stay in their existing positions, advance in the knowledge and skills, and enhance their compensation by participating in our Learn More-Earn More Career ladder program. Are you interested in furthering your education? Maybe you have always wanted to earn a bachelor’s degree or maybe you are ready for focus an advanced degree? We have a robust tuition assistance program to help support our staff by providing them with tuition reimbursement to offset the cost of attending college. Need more information about Workforce Learning at Hillcrest Educational Centers? Let us know how we can help you with your learning and development. Contact any of the members of the Workforce Learning Department for more information at (413) 499-7924.